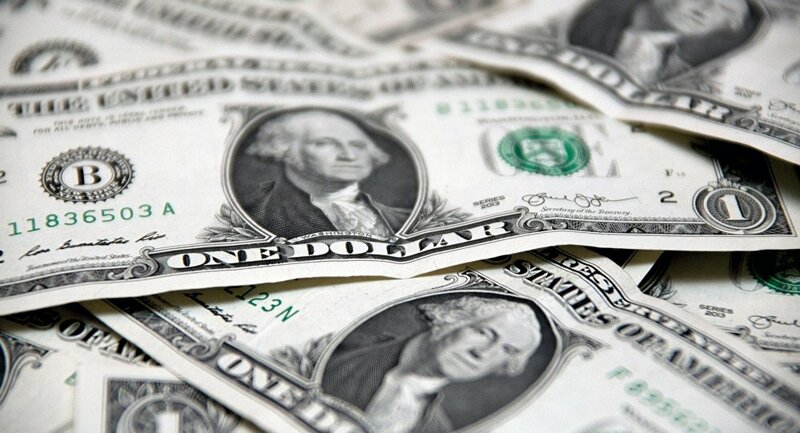 The US takes advantage of other nations by using the dollar, one of the leading reserve currencies, as a unilateral weapon, Adam Garrie, director at Eurasia Future, told Sputnik. However, this cannot last forever, the analyst believes, sharing his prognosis on when exactly the dollar will leave the global stage and give way to other currencies. "America's days as a global economic and military hegemon are numbered in the very long term," Adam Garrie, a geopolitical analyst and director at Eurasia Future, told Sputnik, commenting on the de-dollarization trend recently embraced by Russia, Iran, Turkey, Venezuela and some other nations. According to the geopolitical analyst, the trend which is spreading in Eurasia and beyond is caused by a number of factors. First, the nations have long been seeking an alternative for the greenback as US dollar dominance, naturally cannot last forever. "This is why even as early as the turn of the 21st century, interest in the (then new) euro led many to seek a viable and reliable alternative to the dollar — more as a means of diversification than for more immediate reasons of loss of confidence in the dollar," Garrie explained. He noted that those who pioneered politically motivated de-dollarization "often paid the ultimate price," referring to Libya's Muammar Gaddafi who pursued the creation of the pan-African Dinar and ex-Iraqi leader Saddam Hussein who switched to selling oil in euros, thus posing a challenge to the US deal with OPEC which de-facto bolstered the greenback's value after Richard Nixon took the US off of the gold standard in 1971. "The other two reasons have a great deal to do with more recent events. At present, the value of the dollar is very strong due to a combination of comparatively high interest rates, the reversal of the Obama era policies of quantitative easing and the trade war exerting pressure on emerging market currencies," Garrie emphasized. However, specifically because "the Federal Reserve's current policy of reducing the dollar supply has increased the greenback's value," multiple emerging market economies "have to think twice about dollar based loans and lines of credit" as they are being trapped in inflationary cycles and related debt cycles, the analyst explained. "Furthermore, while the dollar's value appears to be solid in the short term, the dollar's reliability is becoming increasingly volatile in the eyes of many sovereign wealth and private wealth funds across the wider world. The rationale behind this worry is due to the fact that because the current White House is so trigger happy with sanctions and tariffs, just because a nation's access to Dollar based financial institutions might be free and clear today — an entirely different reality could exist tomorrow," he said. Besides, China's economy "looks set to fully overtake that of the US by 2040 in terms of overall GDP," Garrie noted, stressing that "history has dictated that the strongest global economic power will de-facto dictate what the world's reserve currency is." "Because of this, it is more of a question of 'when' rather than 'if' in respect of the Chinese renminbi becoming the world's de-facto currency of trade and the international reserve currency of choice," the analyst believes. Trump's isolationist policies coupled with the sanctions and tariff spree are de facto facilitating the de-dollarisation trend and playing directly into China's hands, according to Garrie. "By cutting off the access of multiple nations to the US market through tariffs and by cutting off access not only to the US market but to dollar-based (mostly American) financial institutions through sanctions, a plethora of nations are looking to adopt new trading and reserve currencies that are seen as sustainable in the long term," he underscored. In contrast, Garrie noted, "China continues to open its doors not only to trade but to the financial institutions of Shanghai and Hong Kong." "This year's introduction of oil future's contracts denominated in renminbi (aka the peto-yuan) are a further sign that in the long term, China seeks to slowly and steadily challenge the dominance of the Dollar. Donald Trump's unilateralism however has clearly accelerated this long term goal of China and its closest partners," he opined. When Will Greenback Leave the Global Stage? The question then arises as to how long the greenback's dominance will continue and what could accelerate its decline. "The floating dollar will continue to dominate the market for at least the next 15 to 20 years," Garrie predicted. "However, if the US continues its unilateral approach to trade, global finance and diplomatic relations, the current impetus towards global (and particularly Asian) de-dollarization will continue to accelerate." 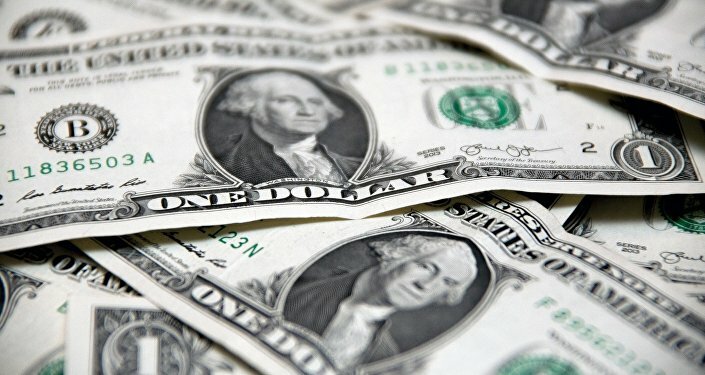 The analyst explained that because of this, while the greenback will still dominate international trade in the medium term, "many strong bilateral national trading partnerships will begin switching to a combination of national currencies and or currency baskets, notably the Special Drawing Rights (SDR) basket which includes renminbi, the dollar, the Japanese yen, euro and British pound sterling." "One should pay attention in particular to Russo-Chinese trade, Turko-Russian trade, Turko-Iranian trade, Sino-Turkish trade, Sino-Iranian trade, Sino-Pakistani trade, and Sino-Venezuelan trade as key areas where national currencies and/or currency baskets supplant the dollar," he emphasized. Garrie also shared his vision on the potential non-dollar global structure, predicting certain renminbi's rise, and presumed that new reserve currencies could be added to the SDR basket or "some future variant thereof" in the long run. "In the longer term, China's renminbi will almost certainly become the major reserve currency of the second half of the 21st century," the geopolitical analyst insists. "That being said, China may well seek to continue using combinations of renminbi and national currencies for trade if it can reach special bespoke arrangements with its partners, particularly those in the developing world. As a country that has mastered long term strategy (quite unlike the impetuous Anglosphere), China wants today's partners to be partners for the foreseeable future. For the Anglosphere everything and everyone is expendable both in life and in economics. Chinese policy makers have an altogether more civilized mentality." Unlike the US, that has weaponized the dollar to promote its policies in the world and "to put pressure on nations it does not respect" China "will likely use currency arrangements in the pursuit of mutual sustainable prosperity for the long term," Garrie foresees.